On our site, we have a wide variety of status reports. We have status report template designed in a word, excel, powerpoint and MS Project. 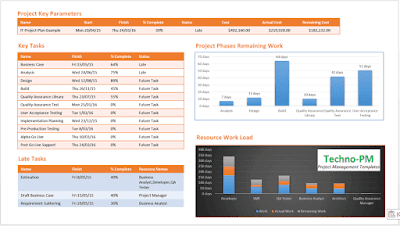 We also have program status reports, weekly status report template, team status report, and monthly report which allow reporting on multiple projects in detail. Also, included are templates for email updates. I have used Microsoft Word, but you can use whatever document format you prefer. I have divided the report into 4 sections. 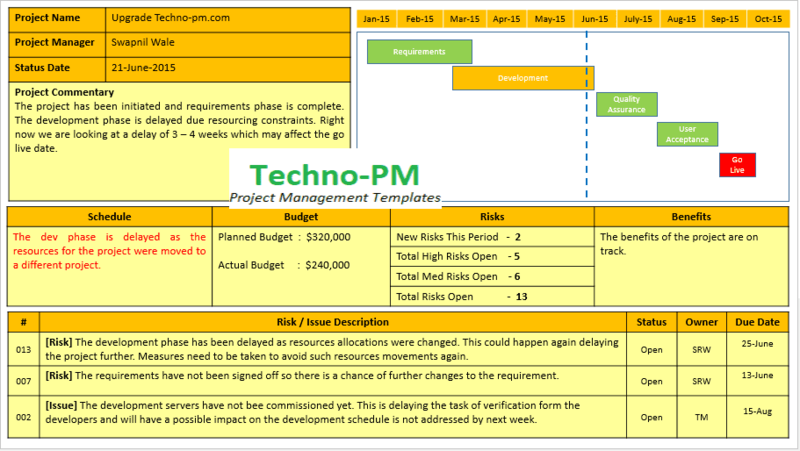 Project Details and Summary Update, Project Key Parameters, Project Schedule, and Risks/Issues. 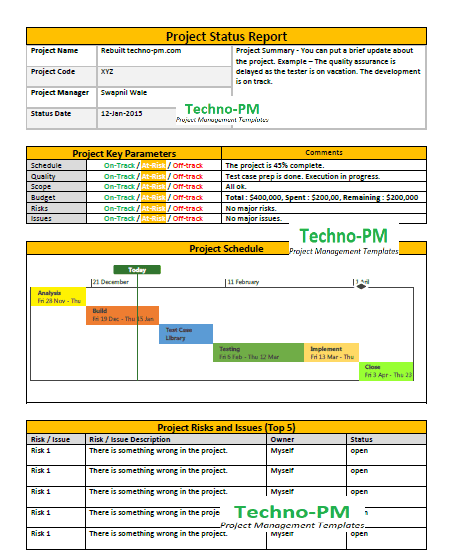 Download One Page Project Status Report Template. In today's work culture where people do multitasking and work on different projects, it is essential that the information presented be precise and simple to read. 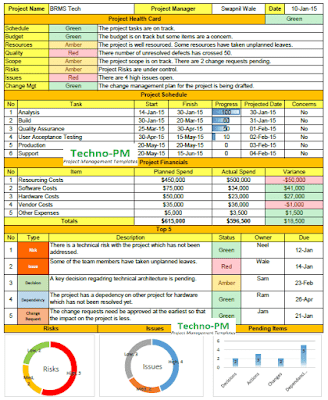 Download Excel Project Status Report Template. Using PowerPoint for status reports gives additional flexibility to make the status report more informative. 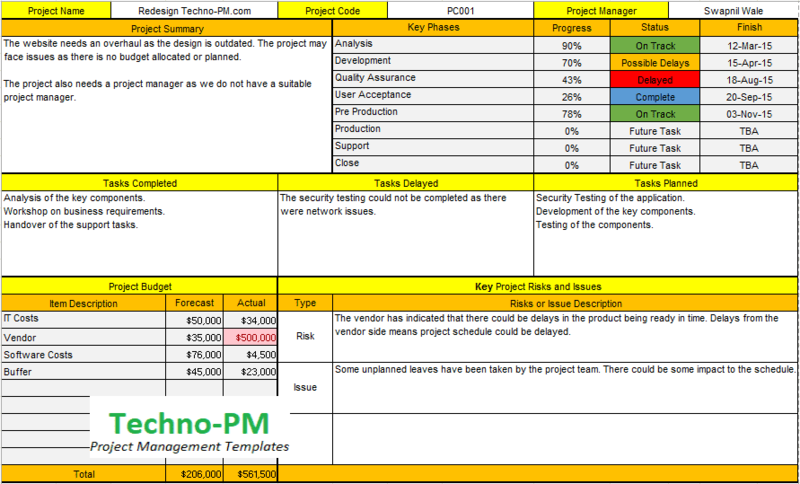 The PPT status report template has 4 key sections - Summary, Timeline, 4 basic parameters, and risks/issues section. 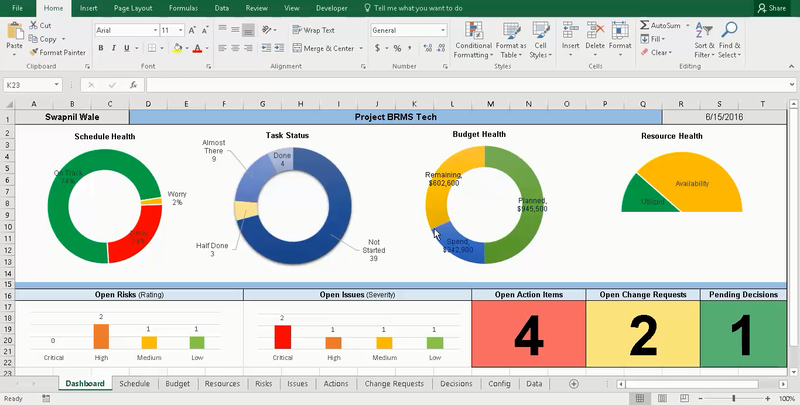 As it is made in powerpoint, you can combine several projects status report into one presentation to report on multiple projects. Download One Page PowerPoint Status Report Template. 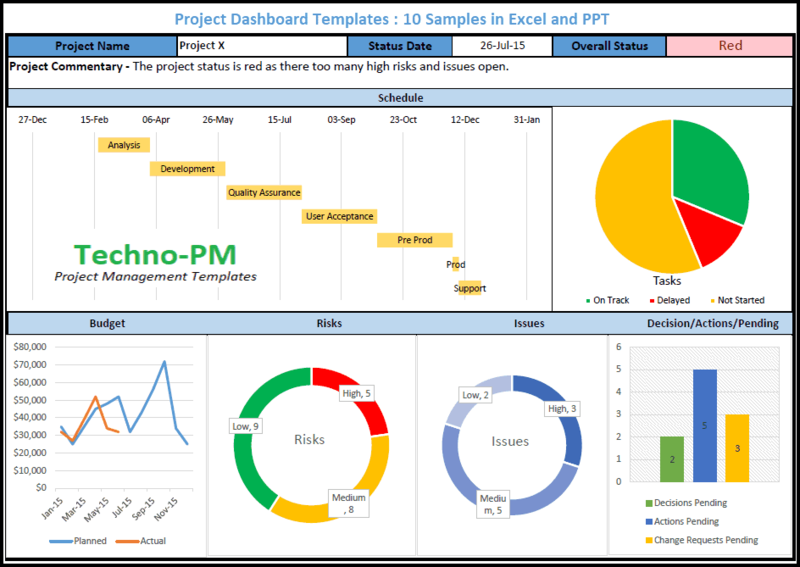 The detailed monthly report template can be used to provide a comprehensive report to the project team, business stakeholders, sponsors or project. 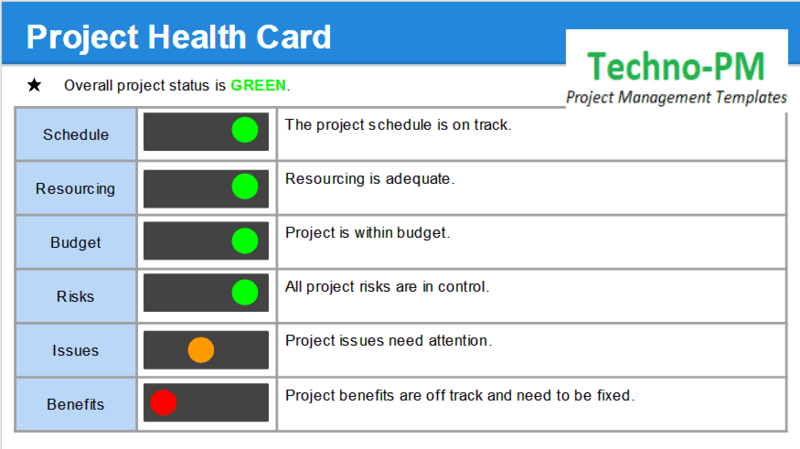 The complete update covers the project team, project health card, schedule, financials, risks, and decisions. It is a good fit for monthly project updates. 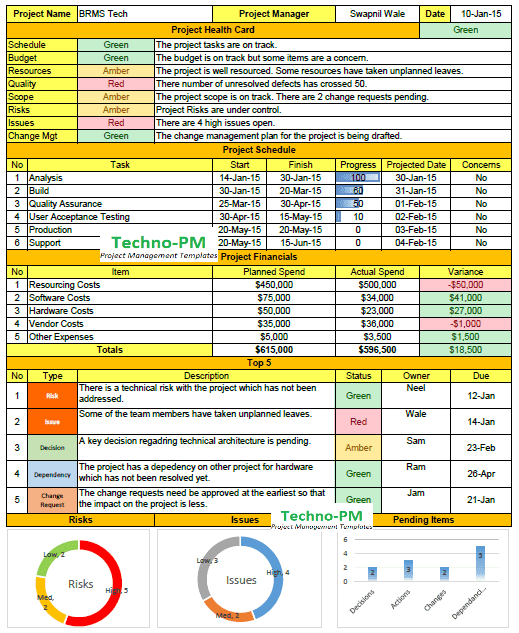 Download the Monthly Project Status PPT Report. Preparing a status report with word or excel takes time as you will have to gather the relevant information and then update the report. It also takes time as you need to ensure that the content is right and you have covered all aspects of the report. 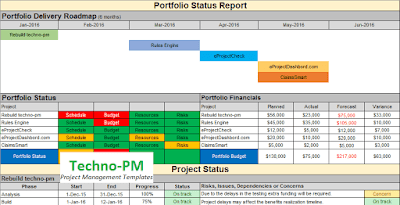 Download the One Page Project Status Report MPP. 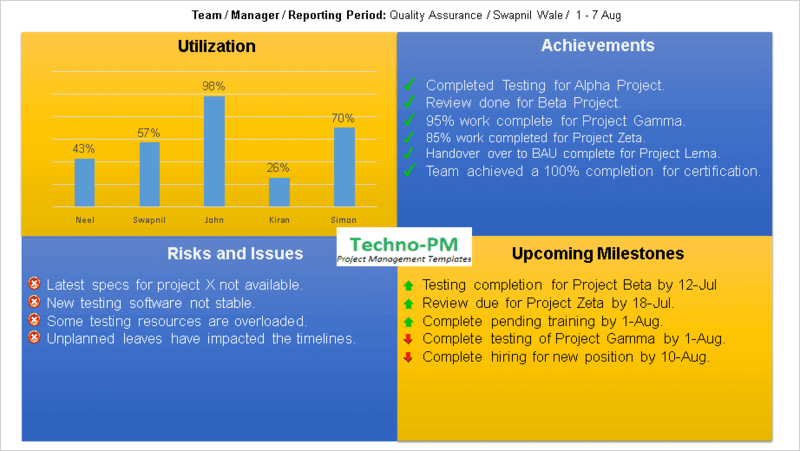 The weekly project status report has sections which allow project managers to capture more details. Download the Excel Status Report. This weekly project status report template covers all the aspects of a project. This a different report as it vertically shows the status. Download the Multiple Project Status Report. 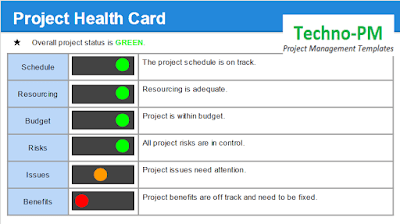 This multiple status report template can be used to report on multiple projects. The dashboard has a portfolio section which can be used to report at a portfolio level, and it also allows reporting on individual project levels. Managing a program and multiple projects can be a challenging task. In addition to handling all the projects, a program manager needs to have a useful tool for status reporting for all the projects in the program. 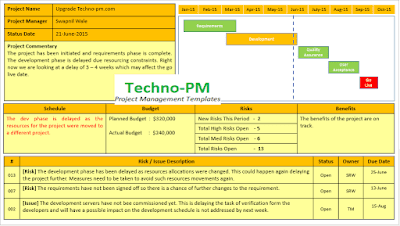 This program status report template aims at giving a birds-eye view of all the project within a program. 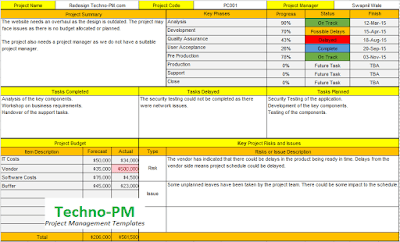 Download Program Status Report Template. 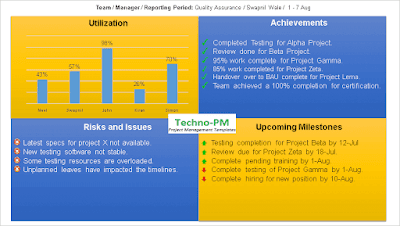 When managing a team, it is good practice to send out a periodic status report for the team. 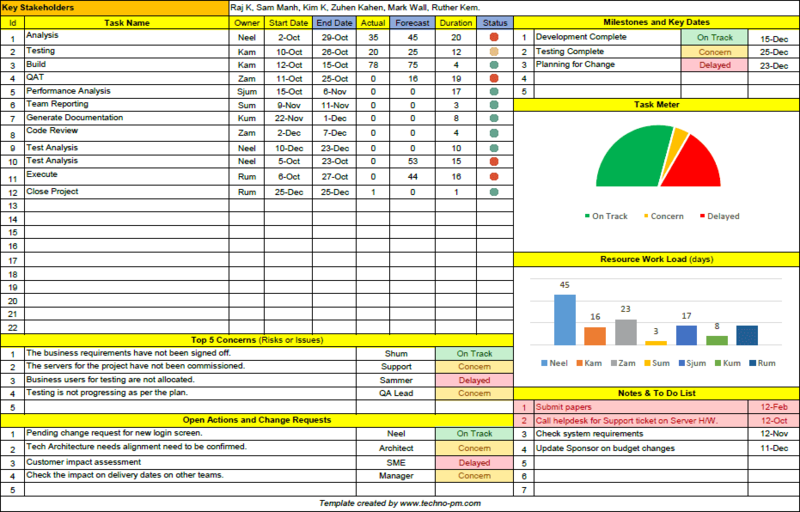 This team status report template allows a manager to report on team utilization, achievements, risks /issues faced and the upcoming milestones for the team. If you are looking at using email for project status update, then it is recommended to see our Project Status Updates using Email. If you are looking for a daily status update excel or word template, then have a look at Daily Status Update Excel Template. Excel status report landscape version is a circular reference and so unable to download template. Can you fix it, please?